Remember when you made mixed tapes for the girl you like? 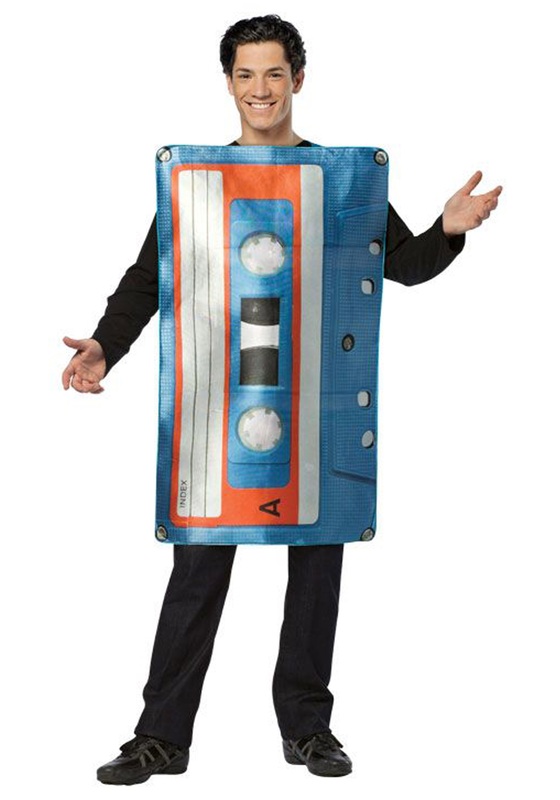 With the adult cassette tape costume, you are the tape! If you were born before 1990, then you know what a cassette tape is. 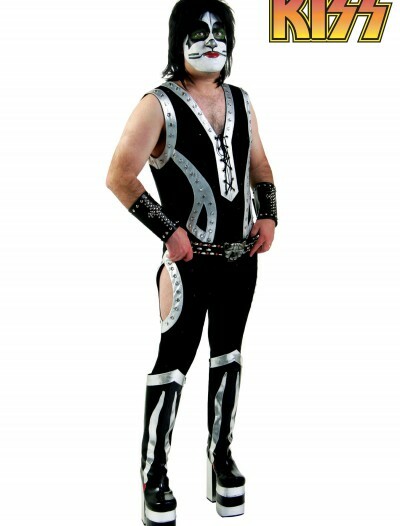 If not, then prepare yourself to be amazed as we explain what this is. It was made of plastic and had a thin strip of film that stored music for playback before we had CDs and way before we had digital music files. 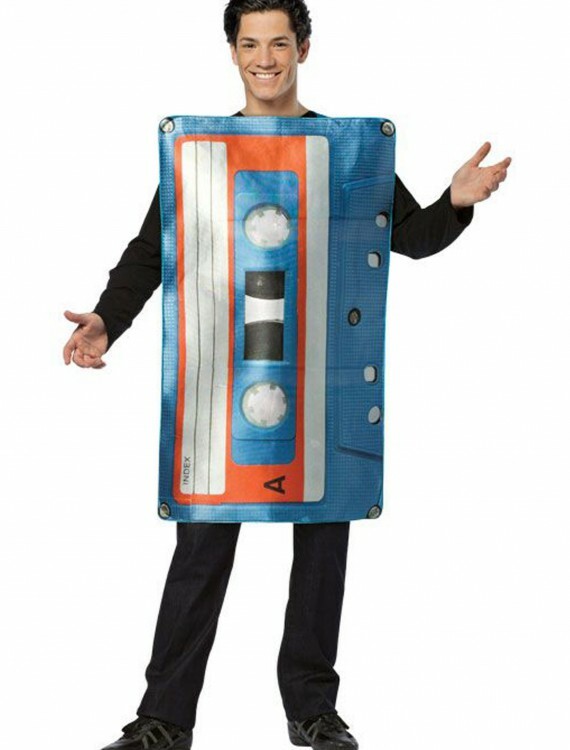 When you wear this Adult Cassette Tape Costume you’ll know when you meet a child of the 80s, because they will know who you are!